Valentino Rossi is capable of winning the 2015 World Championship? Valentino is 35, it isn’t easy to reach that age at high level but he with his geniality and ability to reinvent yourself he did it, after all these years in MotoGP, we know what he is capable of, and for the first time in some years, the Yamaha can give a better bike for their riders, for sure will not be easy, but he can get and he will have to work twice as much as the others riders, will be a great battle with the Honda, I think this season will be one of the best of all times. He gave an interview for MotoGP, and I must say he is hungry for titles, see what he said. So Valentino what are your expectations for 2015? “The 2014 season was very important to understand my level of competitiveness after so many years in the MotoGP World Championship. We did good races and eventually I ended up right behind Marquez in the overall standing, so I have every reason to be happy about my performances last year. That is past, anyway, and now I want more. I am fully focused on a good start of the new season and I want to be immediately competitive. My team worked extremely hard last year and there was a great atmosphere in the garage. Silvano is now in his second year with me and now he has all the information he needs to allow me to go even faster at every track. I too am feeling well so there are all conditions for an exciting season. I guess we will see the same four riders fighting for the championship. It’s going to be a good fight”. Considering your results last year, is the tenth title your target this season? Are you happy with Yamaha’s work throughout the winter? Do you think that you and Jorge, when you are each in your best shape, can beat Marquez? 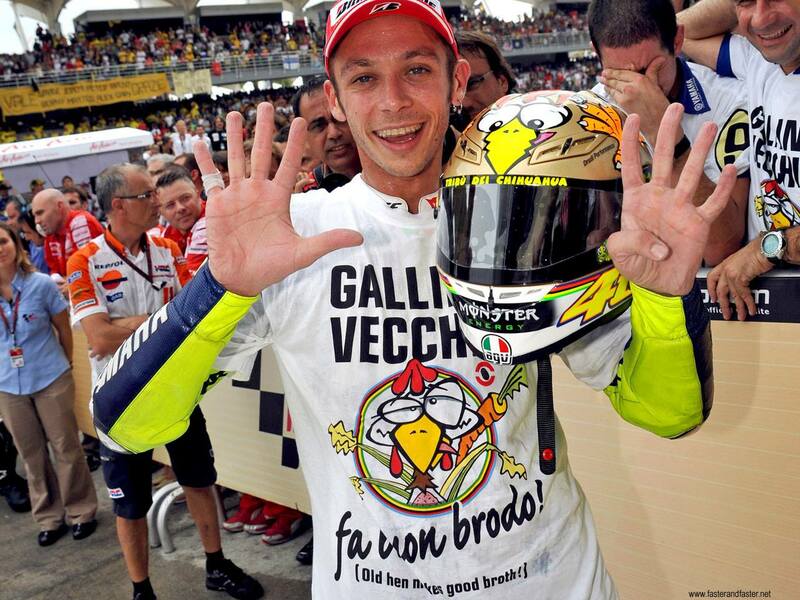 Give your opinion, Valentino is capable of winning another title? Successivo: Articolo successivo: Sauber C34: eccola!